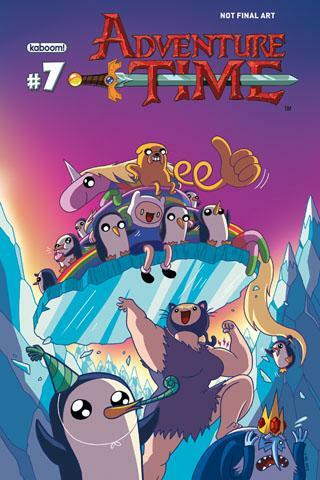 IZZY’S PICK :: ADVENTURE TIME #7: The reason I chose this book is because I love it! I like Jake because he is super super funny!!!!!!!!!!!!!! Finn is really cool! Finn’s hat is awesome!!! This book is full of challenges and excitement and adventure!!!! I hope you like this book as much as I will!!!!! !